Winners of the first ever Songs of Praise Gospel Choir of the Year, Town Hall Gospel Choir share a passion for singing with people from all walks of life. The 30-strong choir were declared the winners of the prestigious title, after beating five church and community choirs from across the UK to the post in a closely contested final. Success for the city singers was even sweeter as both broadcasts of the two episodes were filmed at Town Hall, a building with a great choral tradition. In 2007 Town Hall and Symphony Hall recruited singers from Birmingham’s gospel communities to form a choir to participate in the re-opening concert of the newly refurbished Town Hall, featuring Handel’s Messiah: A Soulful Celebration . This uplifting gospel and soul reworking of Handel’s Messiah performed alongside the likes of Soweto Kinch, Ruby Turner and Town Hall Associate Artists Black Voices. The choir was initially auditioned and trained by Black Voices and Director of the London Adventist Chorale and one of the UK’s leading choral conductors Ken Burton. From the opening concert it was obvious that something special had been created which deserved to be continued. A recruitment drive was therefore launched which received an unexpectedly high level of interest, and the choir’s ranks have now grown to nearly 40 members, with a considerable number also on a waiting list for future auditions. Other notable projects that Town Hall Gospel Choir have been involved in include Equinox: Cultures in Harmony a celebration of the Olympic spirit of achievement, endeavour and friendship. A huge, emotive sound was created by the choir alongside some 400 choral and percussion performers reflecting the cultural diversity of young people and adults living in Birmingham. The programme included the world premiere of Equinox, a specially commissioned ground-breaking work by award winning Midlands’ composer Christopher Long. To celebrate the 50th Anniversary of Jamaican Independence, Town Hall Gospel Choir joined Jazz Jamaica All Stars, Urban Soul Orchestra, and lead vocalist of Aswad, Brinsley Forde, to perform a sensational orchestral interpretation of *Bob Marley and The Wailers*’ ground-breaking and iconic album Catch a Fire. The choir were also part of The Voyage which saw Town Hall transformed by spectacular projected imagery for one of the opening events of the London 2012 Festival. Projections featured an enormous ship sailing into Victoria Square and docking itself beside Town Hall. Thousands gathered as the choir performed alongside a brass band while dancers and aerialists appeared in the ship’s rigging in an incredible production created by Motionhouse in collaboration with Legs On The Wall and produced by The Hipodrome. Other projects have included a performance with Sir Willard White, a spectacular concert with the CBSO and South African trumpeter Hugh Masekela at Symphony Hall, and an uplifting Christmas concert with Muyiwa/Riversongz. The choir is now under the permanent directorship of Colin Anderson and were supported by the BBC Performing Arts Fund Community Music Scheme in 2012. 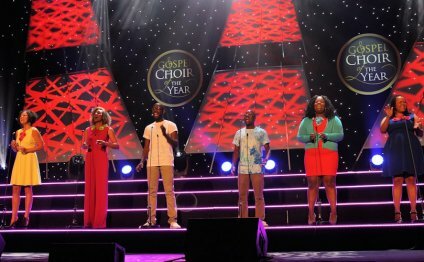 See Town Hall Gospel choir compete for the title of Songs of Praise Gospel Choir of The Year where six of the best amateur gospel choirs from around the UK showcasing their singing talents on BBC One – as they sing before a panel of celebrity judges. The recorded shows are to be aired on Sunday 6 and Sunday 13 October 2013. Visit the BBC Media Centre for more info. What energy! Joe Aldred of BBC WM of the choir’s performance at Jamaica’s 50th Independence Cultural Extravaganza celebration at Symphony Hall. Beautiful harmonies had the audience enthralled Nikki Tapper regarding Sing For All – Community Spirit at Town Hall. Town Hall Gospel Choir rehearses regularly on either Sunday afternoon or Tuesday evening, and performs in at least three major concerts a year. Rehearsals take place at various venues in the city centre, including Town Hall, Symphony Hall and Birmingham Conservatoire.